Norfolk County Cricket Club is one of the county clubs which make up the Minor Counties in the English domestic Minor Counties cricket structure. 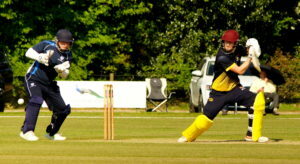 Each year‚ Norfolk play in the Minor Counties Championship and the MCCA Knockout Trophy. Norfolk last won the Knockout Competition in 2009. Norfolk County Cricket Club was set up in 1827 and soon became known as being “second only to the Marylebone club”. After playing at the Colman’s Lakenham ground for nearly 125 years‚ Norfolk moved to Horsford’s beautiful Manor Park ground in 2001. All Home One-Day and Championship matches are now played at Manor Park‚ Horsford‚ Norwich. Norfolk County Cricket Club welcomes new members. Please download our application form.